Previous studies have reported the occurrence of psoriasis together with multiple sclerosis (MS). Although similar predisposing genes and pathomechanisms have been hypothesized, the relationship between the two remains obscure. 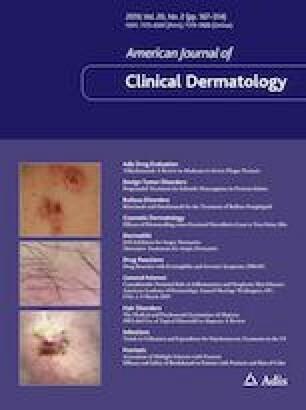 The aim of this systematic review and meta-analysis was to investigate the association between psoriasis and MS.
We searched MEDLINE, Embase, and CENTRAL in July 2018 for case–control, cross-sectional, or cohort studies that examined either the odds or risk of psoriasis in subjects with multiple sclerosis. The risk of bias of included studies was assessed using the Newcastle–Ottawa Scale. A random-effects model meta-analysis was used to calculate the odds ratio (OR) for case–control/cross-sectional studies and hazard ratio (HR) for cohort studies. We included 10 publications that reported a total of 11 studies (5 case–control, 4 cross-sectional and 2 cohort studies). The case–control and cross-sectional studies included 18,456 MS patients and 870,149 controls, while the two cohort studies involved 25,187 MS patients and 227,225 controls in total. Three studies were rated with a high risk of bias in comparability, non-response rate, and selection of controls. MS was associated with increased odds (OR 1.29; 95% confidence interval [CI] 1.14–1.45) and risk for psoriasis (HR 1.92; 95% CI 1.32–2.80). Patients with MS display both increased prevalence and incidence of psoriasis. Chia-Yu Liu and Tao-Hsin Tung contributed equally to this article. We would like to thank the Sunflower Statistical Consulting Company, Kaohsiung, Taiwan for statistical advice. Mr Liu, Dr Tung, Ms Lee, Drs Chang and Wang, and Prof. Chi declare no conflict of interest. No funding was received for the conduct of this study. Della Valle V, Maggioni M, Carrera C, Cattaneo A, Marzano AV, Damiani G. A mysterious abdominal pain during active psoriasis. Internal and emergency medicine. 2017. https://doi.org/10.1007/s11739-017-1765-y. Chi CC, Tung TH, Wang J, Lin YS, Chen YF, Hsu TK et al. Risk of uveitis among people with psoriasis: a nationwide cohort study. JAMA Ophthalmol. 2017. https://doi.org/10.1001/jamaophthalmol.2017.0569. Wells G SB, O’Connell J, Robertson J, et al. The Newcastle-Ottawa Scale (NOS) for assessing the quality of nonrandomised studies in meta-analysis. 2011. Available from: http://www.ohri.ca/programs/clinical_epidemiology/oxford.asp. Guido N, Cices A, Ibler E, Huynh T, Majewski S, Sable K et al. Multiple sclerosis association with psoriasis: a large U.S. population, single centre, retrospective cross-sectional study. J Eur Acad Dermatol Venereol. 2017;31(9):e397–e8. https://doi.org/10.1111/jdv.14205. Anagnostouli M, Anagnostoulis G, Katsavos S, Panagiotou M, Kararizou E, Davaki P. HLA-DRB1 15:01 and Epstein-Barr virus in a multiple sclerosis patient with psoriasis, nasopharyngeal and breast cancers. Lessons for possible hidden links for autoimmunity and cancer. J Neurol Sci. 2014;339(1–2):26–31. https://doi.org/10.1016/j.jns.2014.02.003. Wu Q, Wang Q, Mao G, Dowling CA, Lundy SK, Mao-Draayer Y. Dimethyl fumarate selectively reduces memory T cells and shifts the balance between Th1/Th17 and Th2 in multiple sclerosis patients. Journal of immunology (Baltimore, Md: 1950). 2017;198(8):3069–3080. https://doi.org/10.4049/jimmunol.1601532. Xu Z, Zhang F, Sun F, Gu K, Dong S, He D. Dimethyl fumarate for multiple sclerosis. Cochrane Database Syst Rev. 2015(4):Cd011076. https://doi.org/10.1002/14651858.cd011076.pub2.